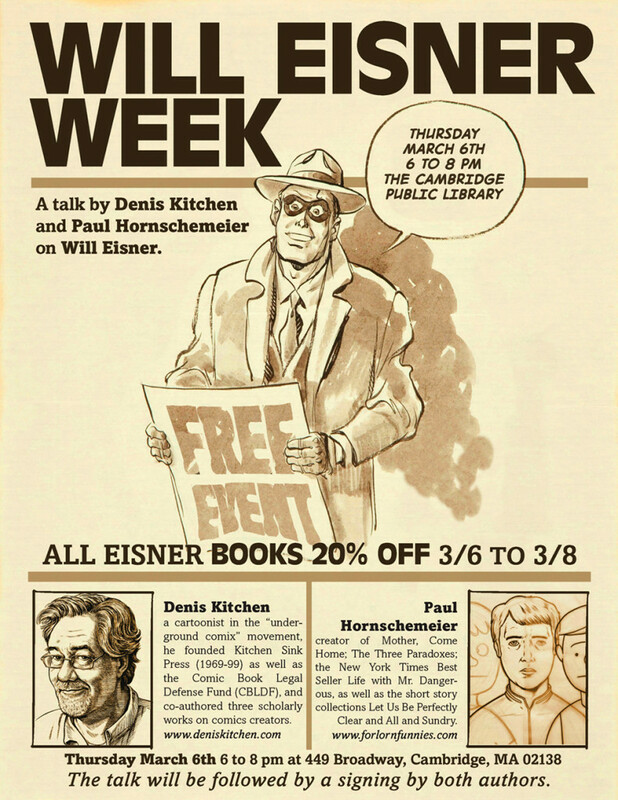 Will Eisner Week: A Talk with Denis Kitchen and Paul Hornschemeier. At the invitation of Stephen Weiner, director of the Maynard Public Library in Maynard, MA, the Million Year Picnic comic shop will participate in Will Eisner Week as the Boston metro-area representative of the event. To honor Eisner’s birthday, there will be a Q&A session between Paul Hornschemeier (creator of Mother, Come Home; The Three Paradoxes; the New York Times Best Seller Life with Mr. Dangerous, as well as the short story collections Let Us Be Perfectly Clear and All and Sundry) and Denis Kitchen (a cartoonist in the “underground comix” movement, he founded Kitchen Sink Press (1969-99) as well as the Comic Book Legal Defense Fund (CBLDF), and co-authored three scholarly works on comics creators) on the anniversary of Will Eisner’s Birthday, Thursday, March 6th, 2014, 7pm at the Cambridge Public Library. From www.willeisner.com, “Will Eisner Week is an annual celebration honoring the legacy of Will Eisner and promoting sequential art, graphic novel literacy, and free speech.” Will Eisner Week features a series of events to be held early March 2014 in more than a dozen cities around the country to honor the work and career of the great comics innovator Will Eisner (1917-2005), the comics medium, and the graphic novel format. Followed by a signing at Library. Denis Kitchen, a cartoonist in the “underground comix” movement, founded Kitchen Sink Press (1969-99), a pioneering house that published early comics and graphic novels by R. Crumb, Will Eisner, Harvey Kurtzman, Al Capp, Scott McCloud, Alan Moore, Art Spiegelman, Charles Burns, Mark Schultz, Howard Cruse and countless others. 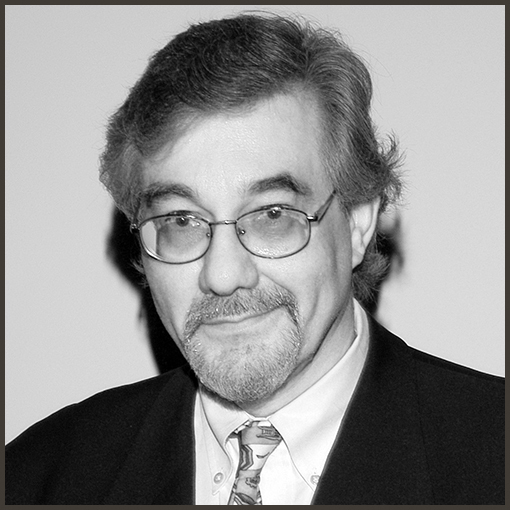 In 1986 Kitchen founded the Comic Book Legal Defense Fund, a non-profit First Amendment organization, and chaired it for its first eighteen years. He’s co-authored three books: The Art of Harvey Kurtzman (Abrams, 2009) with Paul Buhle; Underground Classics (Abrams, 2009) with James Danky; and Al Capp: A Life to the Contrary (Bloomsbury, 2013) with Michael Schumacher. A monograph, The Oddly Compelling Art of Denis Kitchen, was published in 2010. He curates art exhibits in America and abroad featuring comics artists like Eisner, Kurtzman, Crumb and the underground genre. In 2013 he revived Kitchen Sink Books as an imprint of Dark Horse Books with partner John Lind. Paul Hornschemeier is the author of the graphic novels Mother, Come Home, The Three Paradoxes, the New York Times Best Seller Life with Mr. Dangerous, as well as the short story collections Let Us Be Perfectly Clear and All and Sundry. His prose and comics – which have been translated into multiple languages and garnered international awards – have appeared in publications ranging from Life Magazine to The Wall Street Journal. 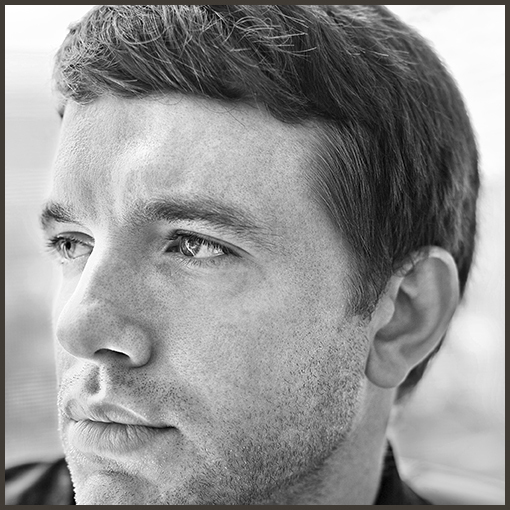 He has taught art and creative writing for The University of Chicago and lectured internationally. His animation appears on IFC’s “Comedy Bang! Bang!” He lives and works in Boston, Massachusetts. This entry was posted in Events and tagged Denis Kitchen, Paul Hornschemeier, Will Eisner Week by Roho. Bookmark the permalink.